Ear bling! 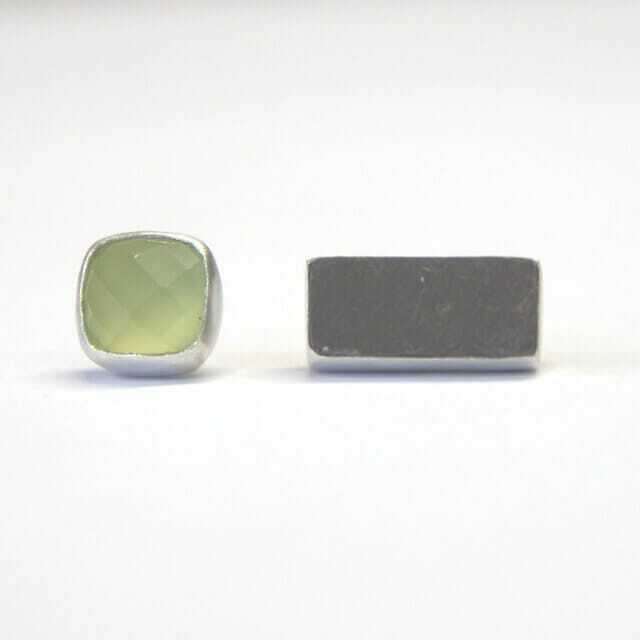 Stand out from the crowd in these sterling silver odd stud earrings, bezel set Welsh slate & green chalcedony. 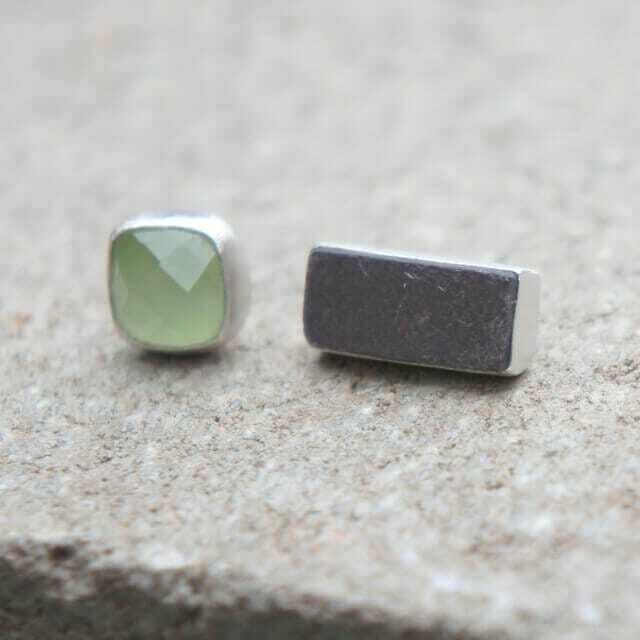 My new collection ‘Off The Rails’ came after a trip to Budapest, Hungary – The jewel of Eastern Europe. Inspired by curved metal railings held together with large chunky rivets, I designed my collection around that concept. I design and handcraft each piece in my small workshop in the seaside town of Porthcawl, South Wales. 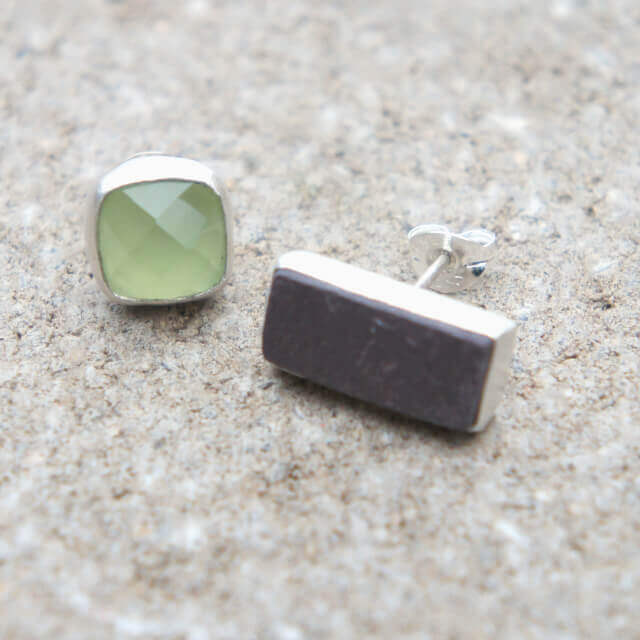 As featured in Tatler July 2016 – ”Rhi Frankton’s current collection ‘Off The Rails’ is inspired by urban scenes, resulting in a range of unique handmade pieces with a contemporary edge.